This Annual Event bringing together the community to recap the past year’s events and programs along with naming the Business of the Year and the Citizen of the Year. The Business will be thanked and highlighted the evening of the event in person and on the power point presentation. 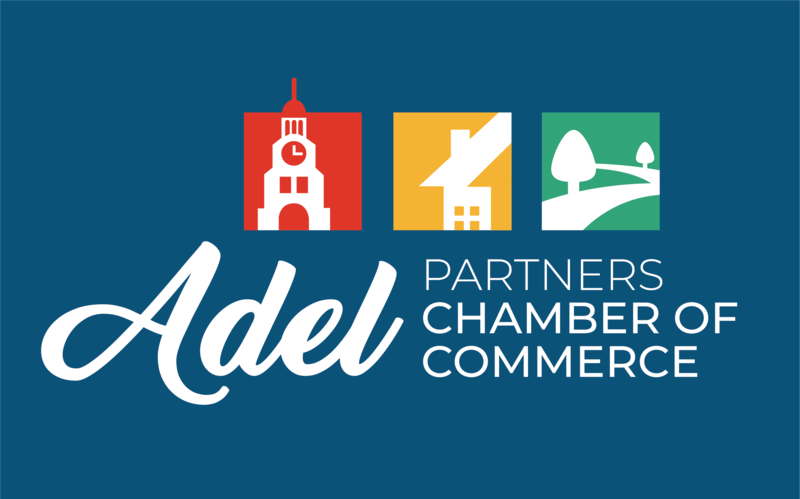 The Adel Partners Chamber organizes four months ( May-August) of free, family-friendly entertainment to showcase Adel’s community stage and pavilion. This event allows the community to bring their own lawn chairs and snacks and drinks and listen to a local band. This event is the 4th Friday of every month. The sponsoring business can attach banners to the stage and have the opportunity to introduce the band and speak at each break. This is a great chance for your business to address the community and educate them on your business. $100 sponsorship. Quarterly lunch and learn/breakfast series targeted to business owners and management. Each quarter’s event will be held at different locations and cover different topics. Your business’s logo will be included on all promotional materials and social media about the event. There is an opportunity for a 5 minute presentation by the sponsor business during the event plus providing a giveaway of your businesses choice.